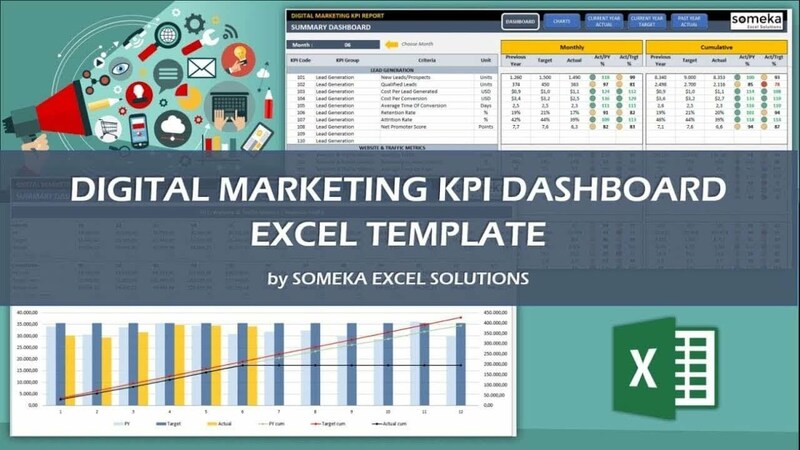 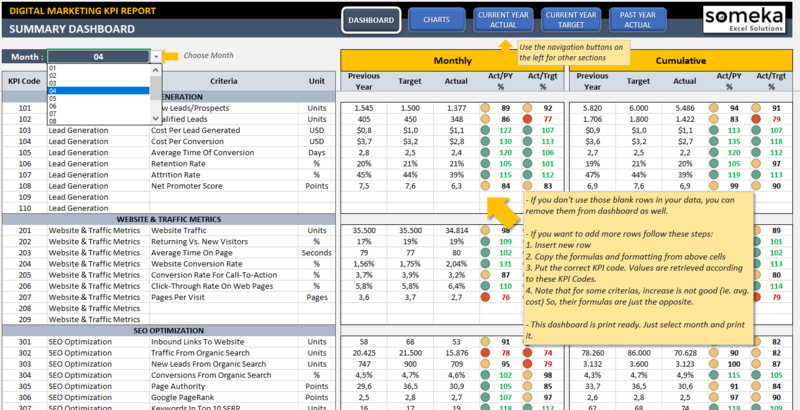 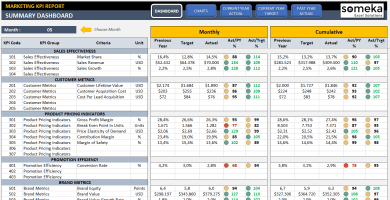 Ready-To-Use Digital Marketing KPI Dashboard Template in Excel. Includes SEO, Social Media, PPC metrics, trend charts, comparison analysis and much more! 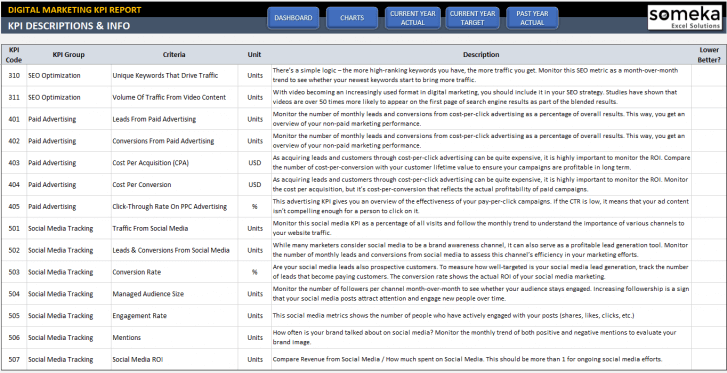 If you are working in the fast pace and ever-changing digital marketing industry then you know keeping your finger on the pulse is a mandatory requirement. 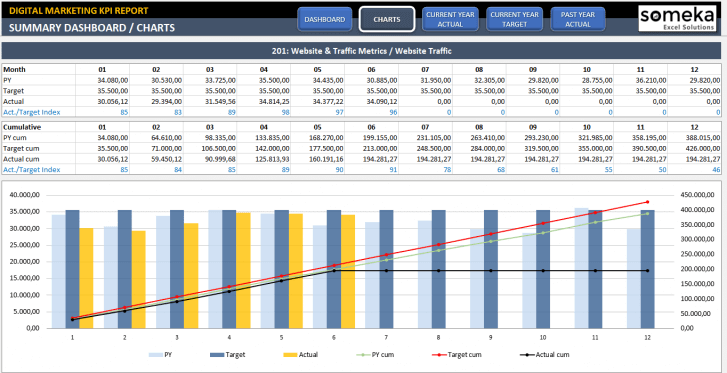 You and or your clients will want proven results, which usually come with numbers. 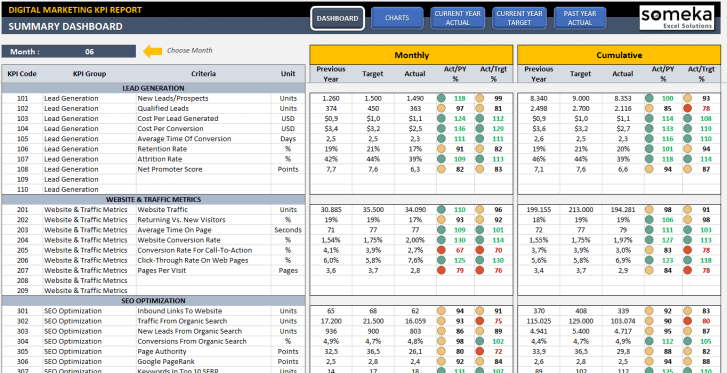 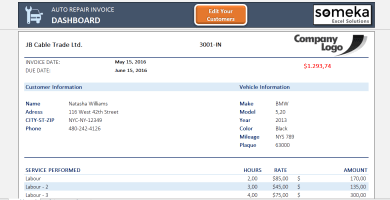 This is where the Digital Marketing KPI Dashboard can help you show them in the best delivery format. 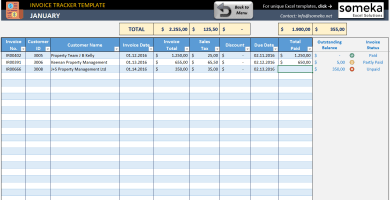 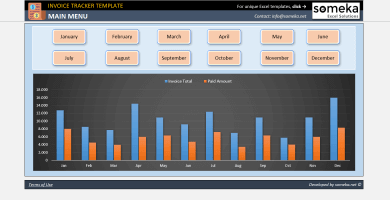 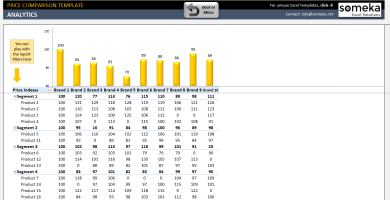 The instant access Excel Template will take your results and turn them into presentable data which can be analysed to give you a better picture of how successful you have been. 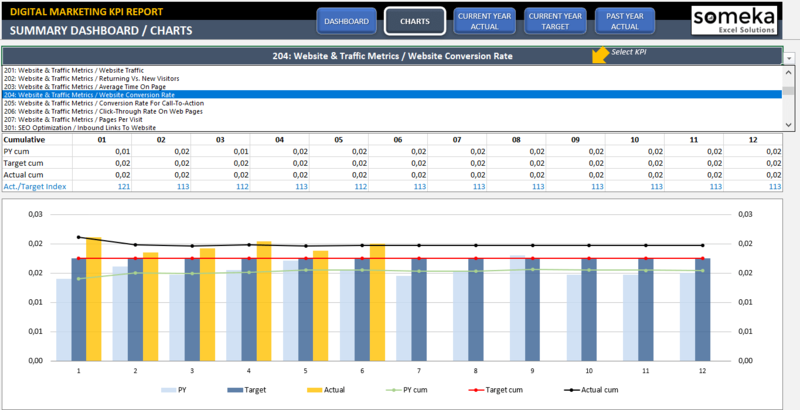 How Do You Select the Right Digital Marketing KPIs To Follow? 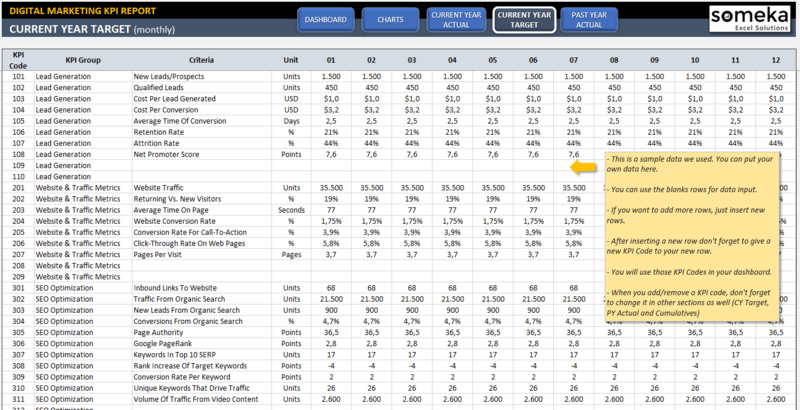 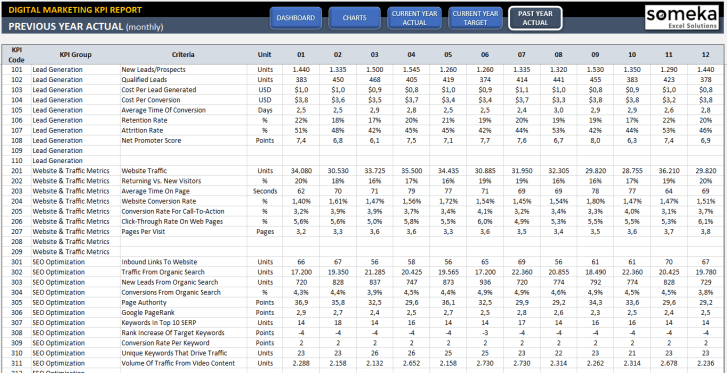 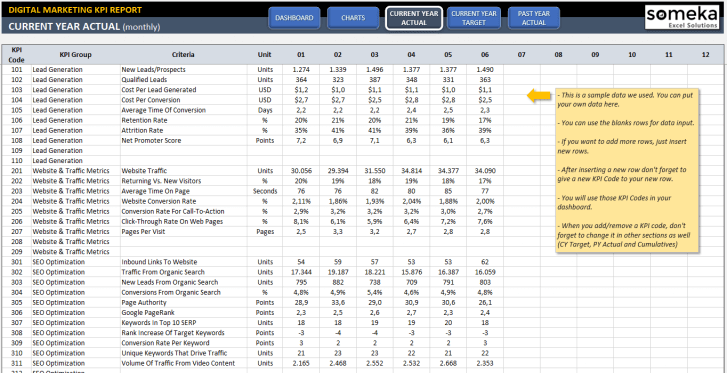 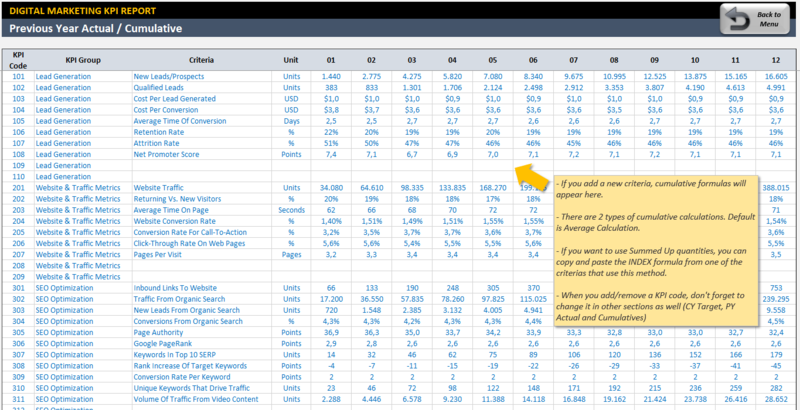 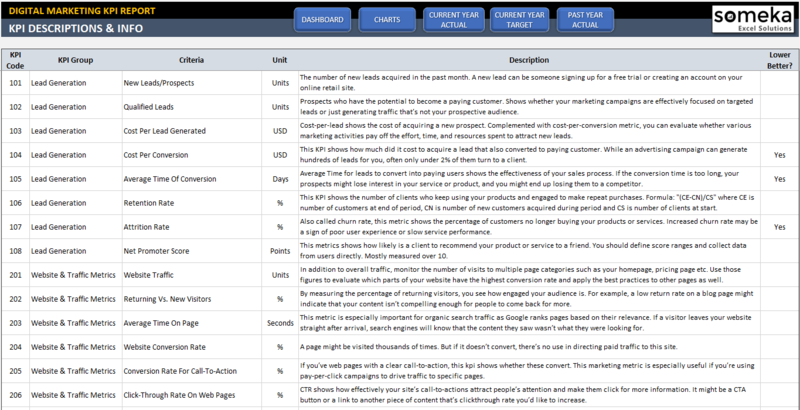 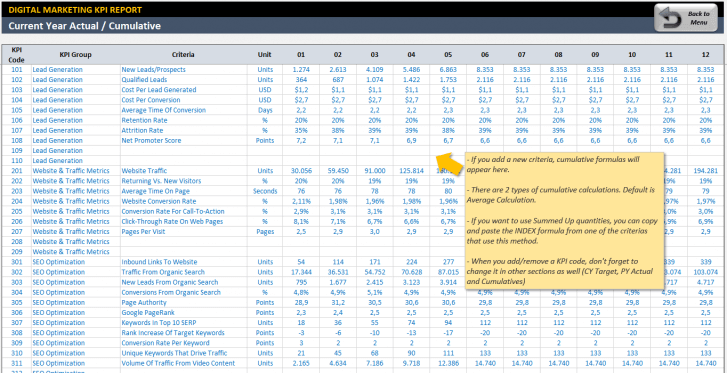 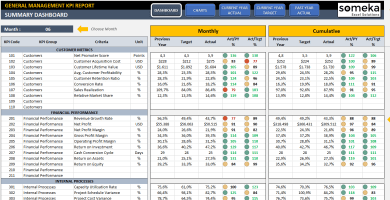 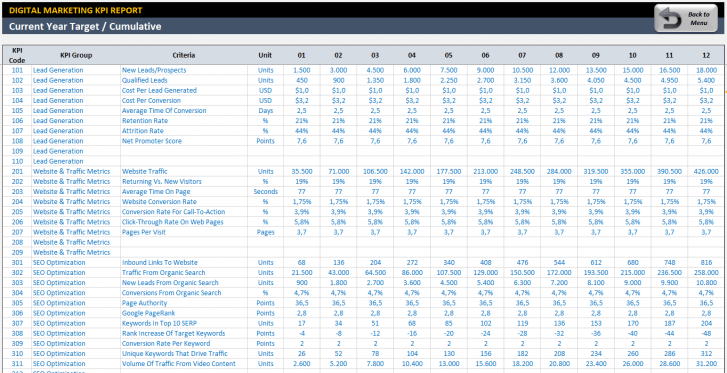 The Template also allows you to add, organize and track your own unique KPI parameters. 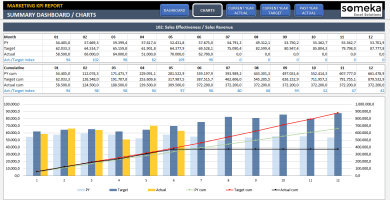 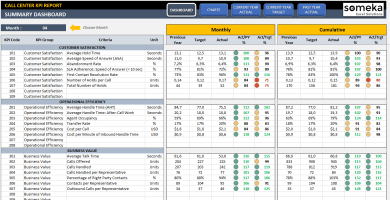 This purpose-built Template offers you a fantastic way to monitor your critical fast-pace data as well as making the essential on-track comparisons for past, current, and goal-related targets. 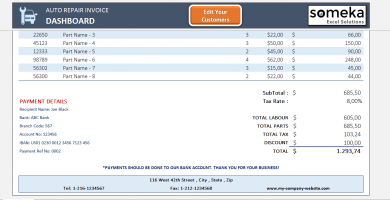 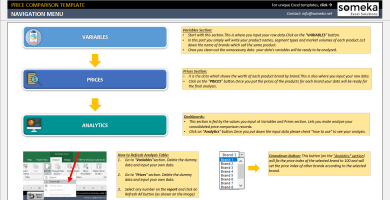 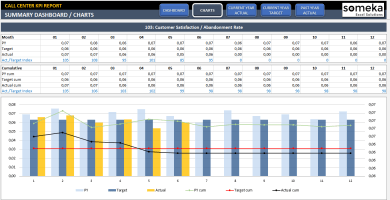 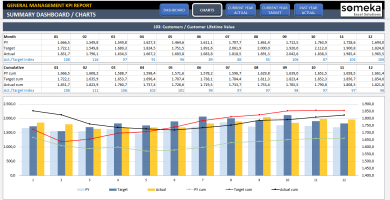 it seemed very complicated at first but easy to change and edit for your own kpis. 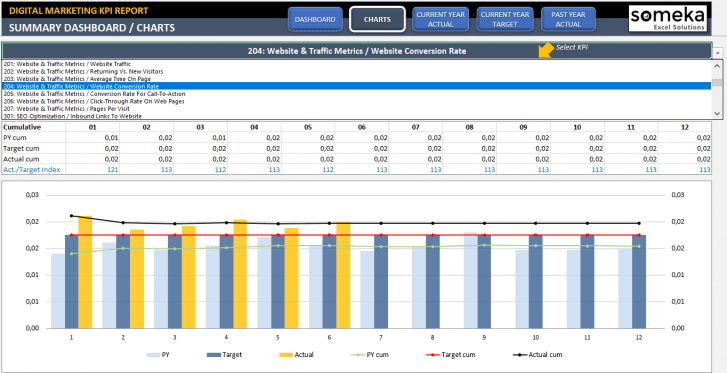 digital marketing is more than just “trending” and thank u guys for developing a KPI for it! 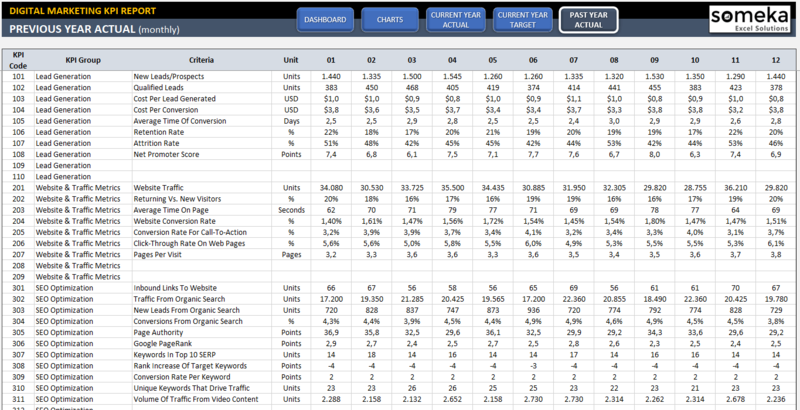 Great spreadsheet and detailed yet simple to use!